This week is ending, and a new week is beginning. January 22 to January 28 was the "Denim x 2" style challenge and I finally had good reason to break out my denim jacket! Style Collective puts on style challenges every week of every month! I am a current member of Style Collective, and the group offers some fantastic resources to help take your blog + content creation to the next level! I have to say that a good amount of my outfit pics revolve around the weekly challenges! I also recommend joining them for insider tips! You will never hit a wall when it comes to brainstorming! Style Collective also has a free collection of images you can use for your inspo pics! Sadly, it is no longer warm enough to just wear a denim jacket outside! (Good grief, the weather just keeps shifting from one temperature to another!) But I still think you can layer a nice denim jacket with a heavy, long coat! I paired a darker blue jacket from KanCan my cloud blue jeans also from KanCan! I was first introduced to this brand and denim when I walked into Piper Boutique in University City! Denim has now become such an integral part of my wardrobe, and yes I still manage to rock ripped jeans in like 40 degrees weather. A denim outfit is not complete without getting the latest trend in order! I have been seeing it everywhere: pearl-embroidered clothing! I got this tie front top complete with sewn-in faux pearls at Bonded Boutique, right in University City! I just love the soft pink color of this top! 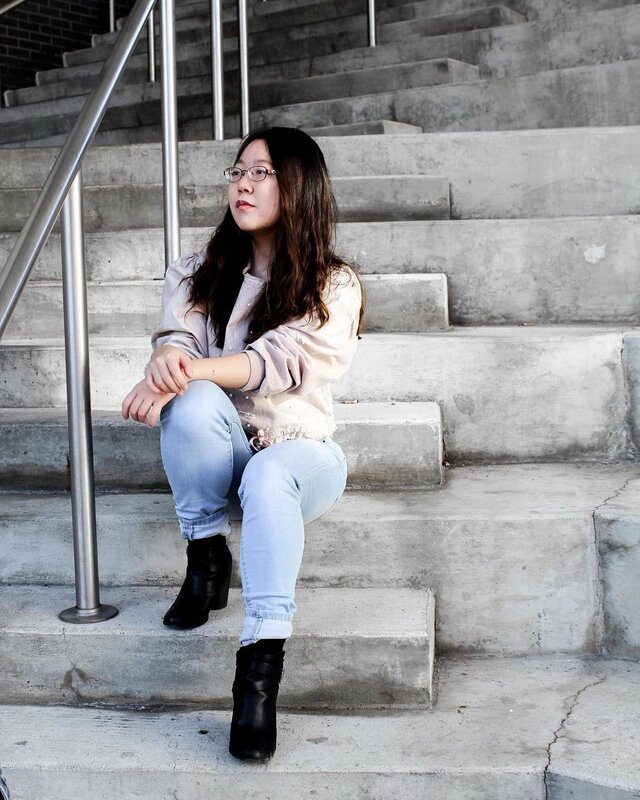 It goes well with light-colored bottoms (like the denim I am wearing here) or even a gray-palette focused outfit! I will also say that I think this top is appropriate for all seasons, so long as you pair it with the right things! You can even pair this look with some shades from Vibe LA! My sorority sister, Alisha, recommended I get the rainbow ones! What do you love the most about denim? 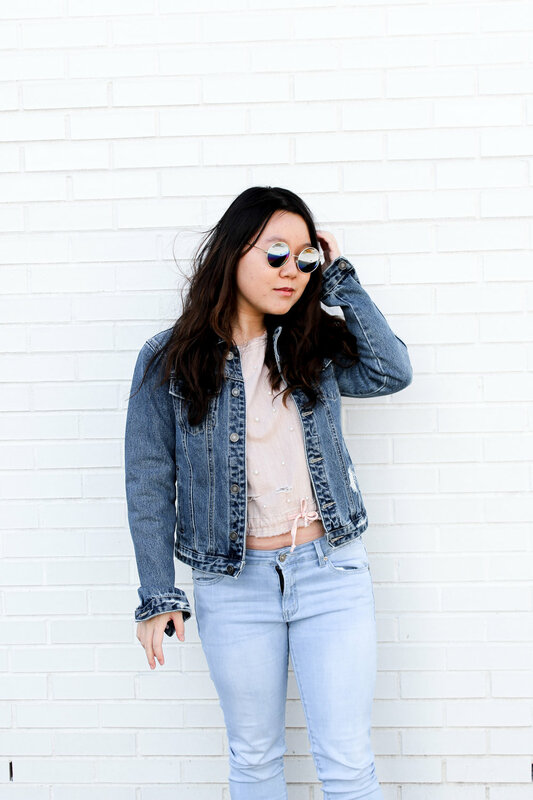 How would you style a denim jacket? Let me know in the comments!